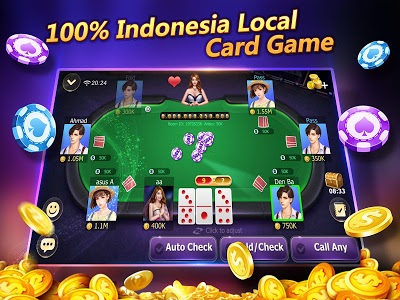 The most popular classic traditional card games in Indonesia, 《Domino 99》！Play Domino99, Gaple, Bandar 99, Samgong, Remi, SicBo, Capsa Susun in 1 application, for FREE! 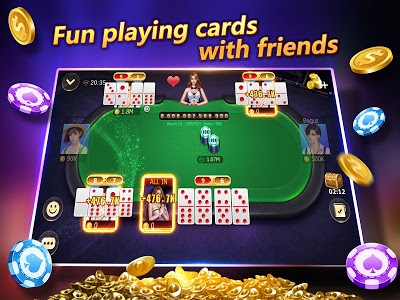 You don’t need to register, don’t need to pay, just login and have fun with millions of card players. Show your luck and skill! Enjoy the maximum fun and excitement! 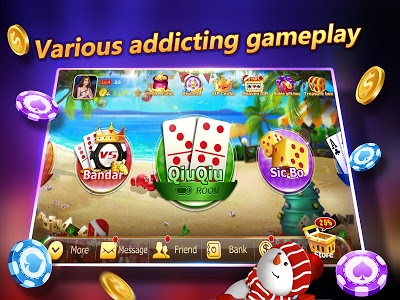 Domino 99 is a 4 Domino cards game, usually played in South East Asia countries, mostly in Indonesia. 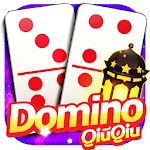 It also known as 99, “qiu qiu”, or “kiu kiu”.Domino99 （Domino Qiu Qiu / Domino 99 / Domino KiuKiu）played by 2-7 players, every players will get 4 cards each. The goal is to arrange that 4 cards into two pairs of cards, then add each pair points with the highest points of 9 (also known as Kiu or Qiu). If the points exceed 10 or 20, then it only count the last number. Player with the highest two set of pairs win the game. ❤ FREE! FREE! FREE! 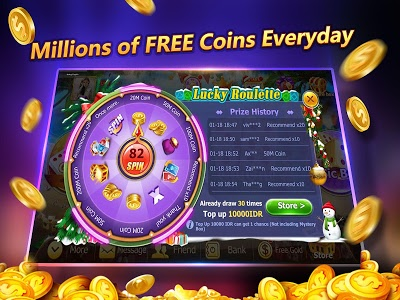 Millions of FREE coins every day! 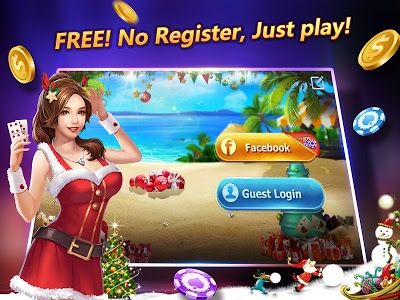 ❤ No register needed, just log in as guest or Facebook account to play. ❤ Various of exciting events every day! Win smartphone, phone credits (Pulsa) and many more! ❤ VIP system, get special benefits and prestige VIP badge! ❤ Various of authentic traditional local card games. Guarantee you’ll be satisfied! 2. Fanpage Code Bonanza! During this holy month, we’ll share fanpage code 3 times! 3. Ramadan theme design for this holy month, together welcoming Ramadan. 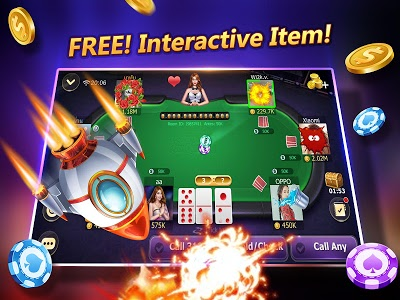 Similar to "Domino 99 - Online free"